If you haven’t been hiding in a cave for the last month, you should’ve have heard about the upcoming Google update that’s happening tomorrow. If you didn’t know, it’s concerning websites, mobile responsiveness and SEO. There IS a reason SEO leaders have quickly coined it ‘Mobilegeddon’; this change is predicted to have a greater impact than the Panda or Penguin updates. The scary thing is that no-one knows exactly what the change will be. However, as Google’s Zineb Ait Bahajji said that for the majority of websites, more than 50% of your traffic comes from mobile searches. 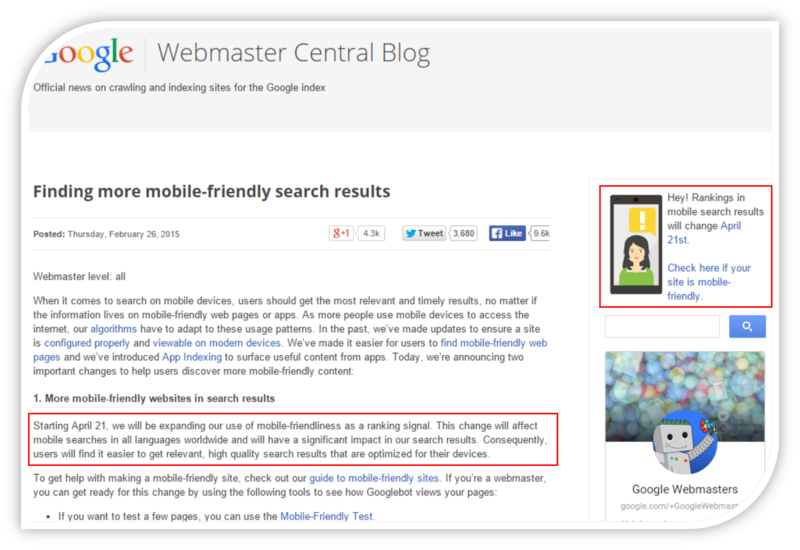 Therefore your site needs to be ready for Google’s update to keep in the top rankings. In this following section I’ll cover some interesting opportunities publishers can implement throughout and after mobilegeddon. If you want to get right down to the SEO details just scroll halfway. Initially there was a lot anxiety in the media where many thought that Google will punish sites that are not yet mobile friendly with reduced SEO. However, if Google’s Gary Illyes is tweeting in response to false claims about the latest changes, it means that we don’t have to panic. This doesn’t mean that you should just let this fly. As a publisher you need modify your site to be mobile responsive AND you need to think one step ahead. Prepare for what people want next from your content on their mobile. You can start by attending to some important mobile friendly issues within your site to improve your both your mobile and desktop visibility in the long run, just see what Google suggests as common mistakes to avoid. So Why is Google Making Changes Now? It’s reported by ShareThis Q4 report (2014) that over 66% of all browsing activity is happening on mobile; it’s pretty clear why Google is adapting its rules to fit the within the trends. In my opinion, the change is more of an opportunity than an obstacle. Why? It gives you a dynamic, interactive landscape to engage more customers and improve your SEO– and who doesn’t want that? Though more people are conducting searches through their mobile, your audience does not want to be penalized in quality of service for searching for content on their phone. They want their experience to be as good as on their computer. If you think that this means having the same experience on mobile as on a desktop, then you’re wrong. Just think of yourself, when do you search for content on the move? On the way to work? With friends? On a date? Your environment is constantly changing and it’s not the peaceful office space you have at home. You want the information and you want it quick. I like to spend my commuting time reading, and I’m sure I’m not alone in this. 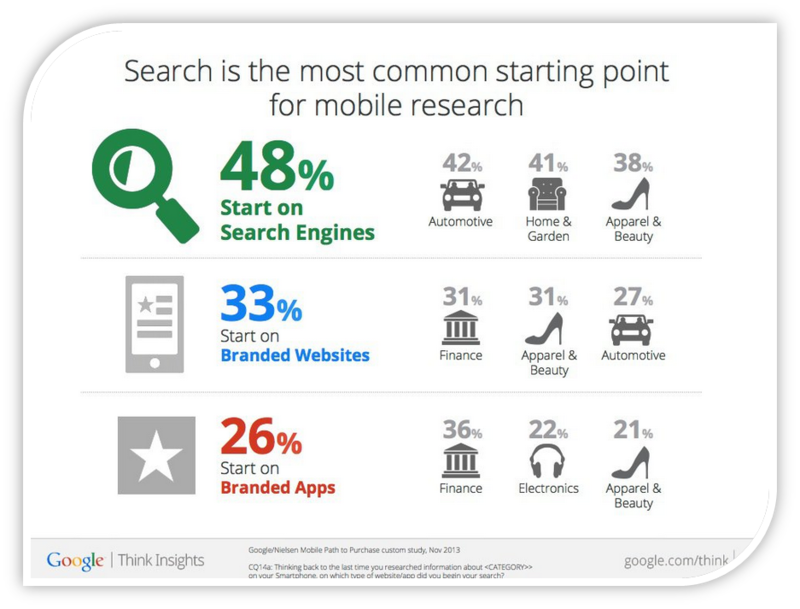 If you’re like me, then you too will be using your mobile or tablet on a daily basis for content search. With this new change that Google is looming on all of us, publishers need to step up and start (if not already) getting their mobile head on. If content is on the go, then so should you. And don’t say they didn’t warn you, in 2013 Google surveyed 950 US consumers about their search habits in varying industries. The results of their report might have just been the reason they started planning for this change. 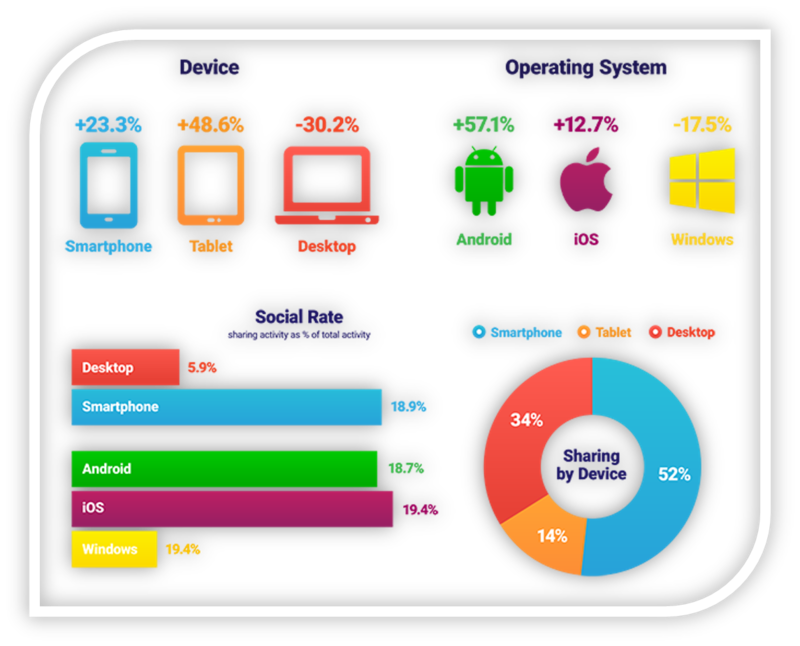 A misconception publishers have regarding the large screen mobile trend (or what I like to call the “Phablet Era”) is that their audience is engaging with it in the same way as on their computers. This is wrong. Though your audience remain the same people, the way they process the content and the reasons for being online is different. This is where the Google update comes in. As mobile search is considered different to the traditional browser, therefore your site will be ranked differently on whichever device according to its responsiveness. In other words, if you don’t have a mobile friendly site but a great desktop version, your SEO will be down only on mobile searches, not on computers. The association between a mobile and communication is so deeply ingrained in our minds that we sometimes don’t even notice that we’re doing it. The mobile world is the perfect area for publishers to exploit if you’re looking for more engagement from your audience. 1. 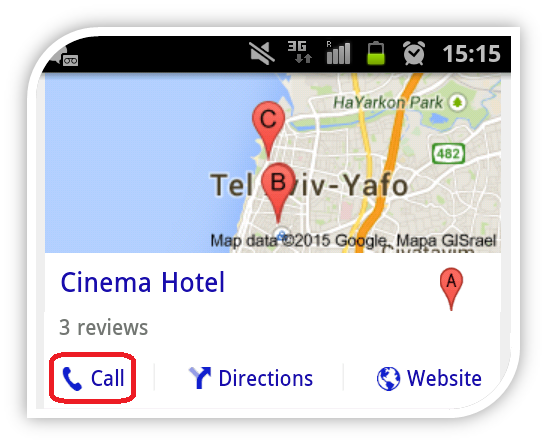 Location, location, location; as mobiles have their own GPS and location tracker, you can really tap into specific content your users might be interested in. Having smart localized content that users can access depending on where they are (i.e places of interest, events, and current news), is something that can be done with mobiles. This great slideshare from SMX can help you learn more about Google Now and what the implications could be for the predictive search world. If there is one really strong recommendation I can make regarding location is to serve different landing pages and different sign up processes according to the location of your user. Talia Wolf, @Conversioner, has written a great complete guide to conversion for beginners which explains the what, why and how of landing pages. NOTE: The customization can go to much further lengths than just changing the language, it can be also things like currency or suggestions in cases of content that provides guidance. 2. Optimize off radar sharing; it’s a well-known fact that a lot of content sharing happens off radar, i.e. via email or texting. So why not implement methods to allow your users to do what they like to do anyway, straight from their mobile? NOTE: Remember that people are much less inclined to share on mobile because it causes them to leave the browser screen in order to do so. If you do decide to opt-in for on radar sharing (Facebook, Twitter, Pinterest etc.) make sure to think of creative ways to incentivize shares on your mobile site version and not redirect them to another app or browser. Why? Because in most cases users are already in their “lazy” or “busy” mode, that’s why they are browsing on mobile in the first place. 3. The power of voice; there are many technologies that can recognize people speaking into the phone. Enabling speech recognition on your mobile site could get more people browsing for as they don’t need to use fiddly touch screens on the move. This includes people whose first language is not English and might not be able to spell but can speak. NOTE: Some people do not have the ability or patience to type on the move, especially on mobile screens. By enabling people to search using voice command you can increase the amount of people reading your content on the go.